"If Crichton is right [about global warming and environmentalism]...then his extraordinary new thriller may in time be viewed as a landmark publication....[T]his take-no-prisoners consideration of environmentalism wrapped in extravagantly enjoyable pages is one of the most memorable novels of the year and is bound to be a #1 bestseller. 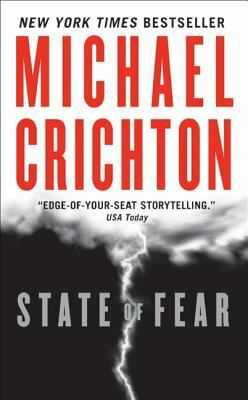 "Crichton, Michael is the author of 'State Of Fear ', published 2005 under ISBN 9780061015731 and ISBN 0061015733. Loading marketplace prices 39 copies from $0.01 How does the rental process work?